Summer of 03'. Reading on the lower deck. 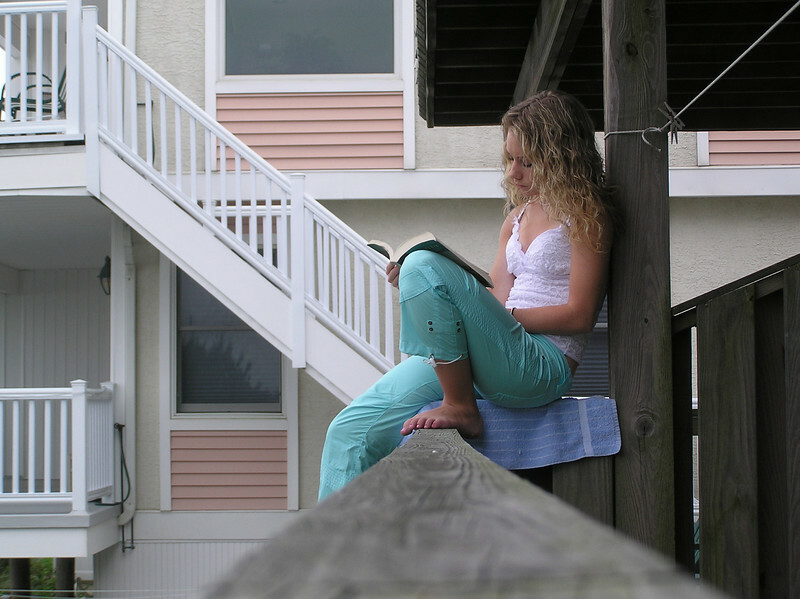 Casey often "perched " here to read and get a view of the beach in this peaceful spot.